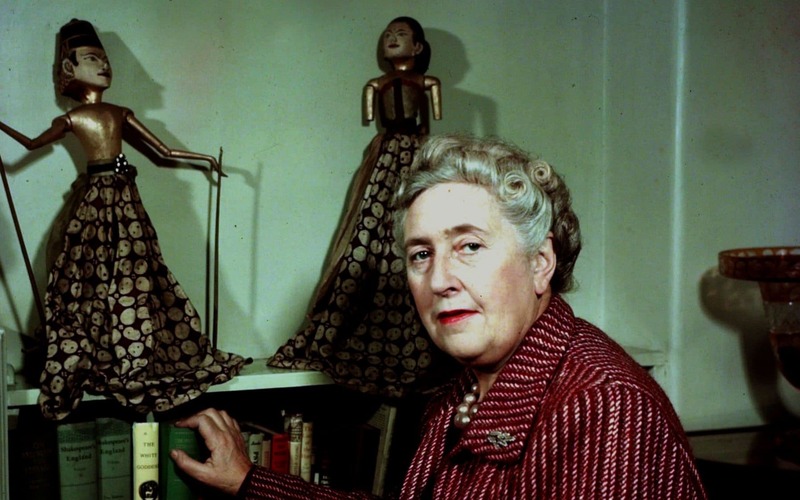 Andrew Wilson: Would Agatha Christie have solved the Salisbury poisoning? “In the absence of evidence, we definitely need Poirot in Salisbury!” tweeted the Russian embassy in London on Monday in response to allegations that Moscow was behind the poisoning of the former spy Sergei Skripal and his daughter Yulia. The statement, which was accompanied by a photograph of David Suchet as the fictional Belgian detective, is a reminder that Poirot’s creator Agatha Christie still holds a grip on the popular imagination – especially when it comes to poisons. The Queen of Crime would have been fascinated by the Skripal case. In addition to well-known toxins like arsenic, cyanide and strychnine, Christie’s books also featured a range of more obscure substances such as ricin, which appears in her short story The House of Lurking Death(published in the 1929 collection Partners in Crime). Like Novichok — the Russian-sourced poison used in the attempt to kill the Skripals — ricin is a nerve agent, a biological weapon that can kill even in minute amounts. It was used in the famous 1978 ‘umbrella murder’ of Georgi Markov in London, and in the failed assassination of Vladimir Kostov in Paris. Both men were Bulgarian dissidents and were believed to have been targeted by the Bulgarian Secret Service, with the assistance of the KGB. It was during the war that she created Hercule Poirot, the little Belgian detective with the egg-shaped head. The Great War was also the catalyst that gave Agatha her famous surname. Yet little did 24-year-old Agatha Miller from Torquay know, as she recited her wedding vows, that under her new married name she would become celebrated throughout the world for her crime novels. Her fiancé Archie Christie, a pilot with the Royal Flying Corps, sent a telegram asking her to come to Salisbury, near to his base. He suspected he would be dispatched to France and both he and Agatha were convinced they would never see one another again. ‘I remember going to bed that night and crying and crying until I thought I would never stop,’ Agatha wrote in her autobiography. She joined the Voluntary Aid Detachment (VAD) as a nurse at the Torquay Town Hall, which had been transformed into a makeshift hospital. When the hospital began to fill with scores of injured men returning from the front, Agatha was confronted with lice, vomit, blood, the stench of rotting flesh and bed-pans. During an operation on a patient’s abdomen, she nearly fainted. Recognising the signs, the sister in charge took her to one side and gave her some advice, telling her that “everything in life, one gets used to.” Even more traumatic tasks lay ahead, including carrying amputated limbs to the hospital incinerator. But she learned to bear it all with fortitude — including the separation from her sweetheart. In 1915, Archie suffered a serious attack of sinusitis, a condition which may have saved his life as he could no longer fly. Agatha too suffered from illness during this time — flu which turned into congestion on the lungs. She took a break from nursing and in June 1916 started work in the dispensary in Torquay. It was during this period that she began to think about writing a detective novel. ‘Since I was surrounded by poisons, perhaps it was natural that death by poisoning should be the method,’ she later wrote. One of the most difficult challenges was to try and create a memorable detective. At the time Torquay was full of men who had fled Belgium after the German invasion and so Agatha was inspired to make her hero a retired Belgian police officer who had come to Britain as a refugee. She visualised him as just five feet four inches tall, with a military style moustache. He was fascinated by human psychology and would solve crimes with the power of his ‘little grey cells’. And so Hercule Poirot, one of the most iconic figures in modern crime fiction was born. He featured in Agatha’s first novel — The Mysterious Affair at Styles, written in 1916, but published in 1920 — and over the next six decades he would star in 33 of Christie’s books. On film and TV he would be played by actors as diverse as Orson Welles, Albert Finney, Sir Peter Ustinov, Alfred Molina, David Suchet and, most recently, Sir Kenneth Branagh. Christie quickly became lauded as the unchallenged Queen of Crime. Yet few of her legion of fans know that one of the biggest inspirations for her career was a chilling wartime encounter that could have come straight out of one of her own novels. Agatha was taking lessons in the science of dispensing from a man in Torquay she named only as Mr. P. One day, the pharmacist told her that he carried around in his pocket a cube of curare, the fatal toxin originating from South America used to tip poison arrows. Agatha had to think quickly. Before the suppositories were taken away into the store room, she pretended to trip, knocked the batch to the floor and squashed them under foot. The chemist with the cherubic expression continued to haunt Christie’s thoughts and later she would use Mr P as the basis for the pharmacist Zachariah Osborne, a character in her 1961 novel The Pale Horse. Indeed, the man “with a nice pink face” who carried poison around in his pocket became the blueprint for many of Agatha’s seemingly mild-mannered, middle-class murderers. Mr P was also one of the inspirations for the sinister Dr Kurs in my new novel A Talent for Murder, a book which features Agatha Christie and is set in 1926 during the time of her real-life disappearance. Kurs tells Agatha that he too carries around a cube of curare in his pocket. The novel also features another obscure but real poison — tetrodotoxin. It seems appropriate that the substance, which is naturally found in food such as pufferfish and octopus, has been dubbed the ‘Russian roulette of dining’.